There is this strange 'spaceship' that sits on this grand old building in this straight-jacket country. Down from this 'spaceship' lies a salon very true to its name that hosts affairs of many subjects. There in Salon "Hair Affair", the proprietors would reveal that they are from the same father and same mother and tell guests that they are even willing to die dye for them. The intellectualisation of this salon happens much by accident. 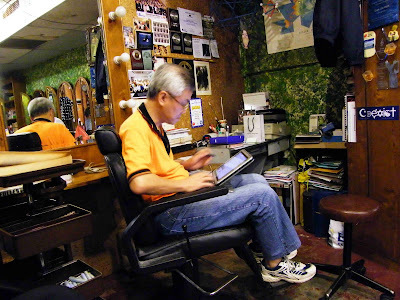 It started 14 years ago when one of the proprietor, Joo Hock, was looking for the 'meaning of life'. He eventually wrote on a piece of paper, "Dear God, Need Help! Please help!" Then he put it under his pillow. After a few days, a friend called and told him about a "Money and You" (business training) programme. Actually, he was not interested, but this friend persisted and told him that he had already booked a place for him. When the day came, he attended the programme and it absolutely blew his mind away, upon the introduction of the life and philiosophy of Buckminster Fuller (Bucky). Joo Hock was very impressed with Bucky's teachings and even more impressed that Bucky actually had a spiritual belief in 'a force more powerful than men', despite being a highly scientific person. This is the genesis of the intellectualisation of "Hair Affair". Choose a belief that resonates with you. Something that you can put your full heart and soul to it. 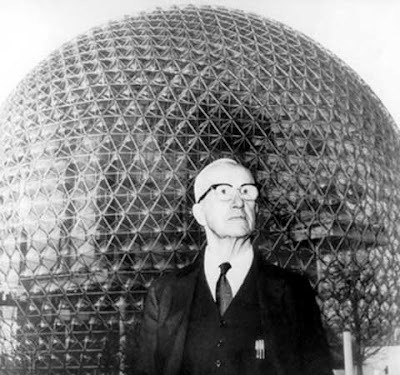 In Joo Hock's case, it is the visions and works of Buckminster Fuller. Today, fourteen years later, his 'Bucky Group' is still going strong! Your belief should be all inclusive, regardless of race, religion, gender, nationality, caste or creed. Here, Bucky is a safe icon to adopt. 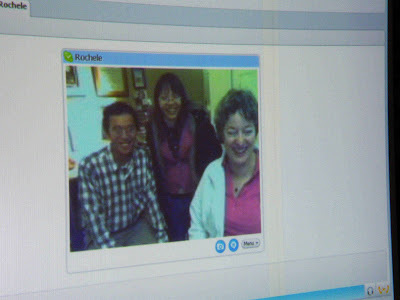 The Bucky Group embraces all and include people from varied and contrasting backgrounds. Hair Affair extended the free use of their premises further, to other interest groups like the Writers' Group, the Futurist Group and the French Language Interest Group, every week. Be sincere in giving. 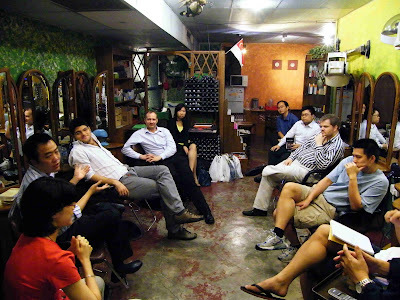 Thanks to the Internet, the Salon even connects to some of their members out of Singapore, like in Atlanta in the USA sometimes. Allow diverse views and opinions. It is not necessary to agree all the time. There is also much to learn from disagreements. That way you also allow spontaneity in the Salon. Most of all, there must be fun to perpetuate the flow of intellect. 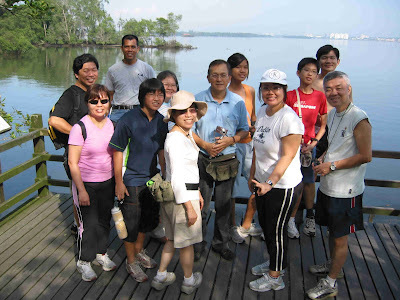 Besides mere talk, we also take walks in nature, trips to farms and plantations in Malaysia, screen movies, gather for BBQs, karaoke nights,...etc. There is also a plan to put up a musical about the life of Bucky. Try this in your salon! It need not be a hair salon. It just need to be a place of passion and intellect. :) I've captioned the pix appropriately now. Love that salon - and the spaceship! Being passionate about something is one of the keys to life, don't you find? Bet it's good for business as well. This seems a creative way to build a loyal clientele, as well as adding a bit of interest to life.